Sports fans across the nation are lining up their hot wings and bean dip for Super Bowl XLVI this Sunday to watch the New England Patriots face off against the New York Giants. The game will be held at Lucas Oil Stadium, Indianapolis with the kickoff scheduled for 3:30pm pacific time. While the classic match-up may feel like déjà vu, there’s a revolutionary new way to watch the game. Anyone with a computer and an Internet connection can live stream Sunday’s match for free online at NBCsports.com and through the NFL Mobile app on Verizon smartphones as long as they have access to exclusive features. While this may simply seem like an effort to boost the viewership, NBC plans to make the online experience unique with four additional angles that won’t be aired on television as well as DVR controls to pause and rewind the game. For viewers who are more interested in the commercial breaks than the players on the field, the online streaming will feature all the same commercials with the ability to re-watch them after they air. Some commercials have already been released to stir up excitement and so advertisers can get the most out of their $3.5 million 30 seconds of fame. Neither team is a stranger to the Super Bowl with three championships apiece. 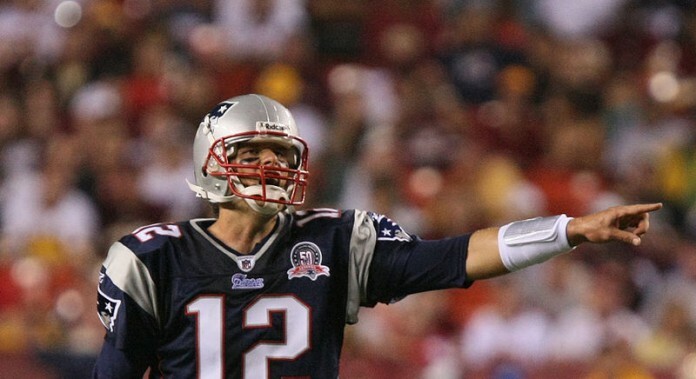 Tom Brady, quarterback and star player for the Patriots, is a two-time MVP of the Super Bowl. He is the only other player besides Joe Montana to win multiple Super Bowl MVPs. The Giants’ Quarterback, Eli Manning, was the 2008 Super Bowl MVP himself, when he defeated Brady and ruined the Patriots perfect season. Both teams earned their spot in the Super Bowl on Jan. 22 when each team won their championship games. The Patriots beat the Baltimore Ravens 23-20, thanks to a failed field goal from Ravens kicker Billy Cundiff, 11 seconds before the end of the game. During the Giants game, San Francisco 49ers’ Kyle Williams fumbled a punt in overtime, giving the Giants the field position to score their game-winning field goal. With such an even matchup, there is no clear winner and the buzz online continues as people pick sides and try to predict the outcome for this game. While Giants fans hope for a another victory against the Patriots to parallel their 2008 game, fans of the New England Patriots are out for blood, hoping for some redemption after losing their Perfect Season title. ESPN had their experts weigh in, and while they can all agree it will be a good game, they’re divided on the matter of the winner. “New York has enough defense to control Tom Brady & Co. New England can’t say the same when it comes to stopping the Giants’ balanced offense,” said ESPN sports journalist Jeffri Chadiha. Jamison Hensley, ESPN blogger argued that Tom Brady will pull through for his team. A predicted 111 million viewers will tune in to their televisions, computers and smartphones this Sunday to find out who will take home the championship title at Super Bowl XLVI. Will you be one of them?